I've literally been sitting here for about 10 minutes trying to come up with a smart title for this post, but I couldn't quite think of something that would do this palette justice that wasn't about 3 sentences long! 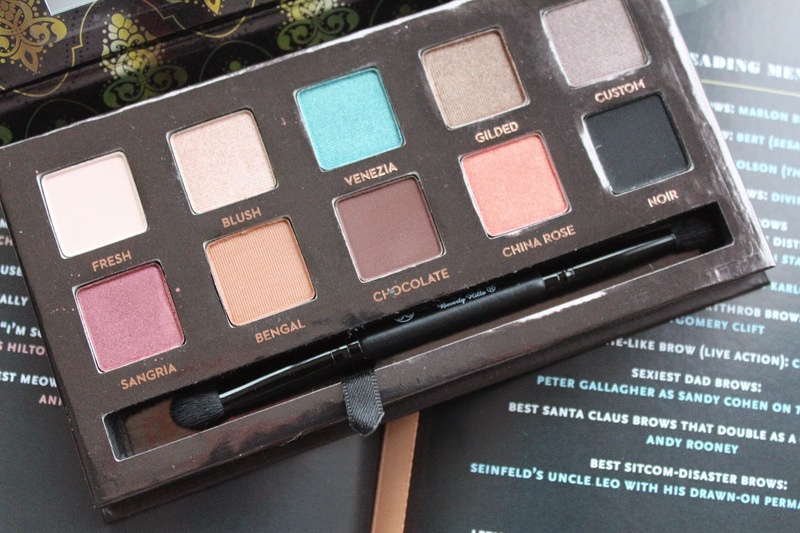 This limited edition Anastasia Beverley Hills Tamanna palette featured in my New York Beauty Haul back in October and I've barely put it down since. I've been following Tamanna on instagram for quite some time now, her makeup skills are instance! Check out her page HERE if you haven't already. I knew I'd love the palette, but never quite expected how much. I bought it from Sephora for $29, an absolute steal if you ask me. The quality of the eyeshadows is insanely good, better than that of the Smashbox Full Exposure and on par with, if not better than, the Urban Decay naked palettes - a bold claim I know! I say this especially because, shades like 'Bengal' in this palette (a matte, fairly neutral shade), actually show up really well on my eyes, something I really struggle with when it comes to most eyeshadow formulas. The colour combination I've been enjoying the most is mixing 'Sangria' and 'Chocolate' to create a crimson/bronzed smokey eye, I'm literally obsessed with that look. 'Custom' is also a favourite. But in all honestly, I know I'll get a lot of use out of all the shades, I'm yet to pop on 'Venezia', but I'm sure I can blend that into a wearable look too - stay tuned for that! This palette excites me so much, I haven't heard too much about it, most likely because it is not retailed in the UK, but I really feel like I've stumbled upon something that is a real asset to my makeup bag. The brush is also amazing, bonus! !